Leila Guerriero is an Argentine journalist and editor whose work has appeared in magazines and journals all over the world, including Argentina's La Nacion and Rolling Stone and Spain's El Pais and Vanity Fair. She is the Latin American editor for Gatopardo and has published a number of books, including Los suicidios del fin del mundo (The Suicides at the End of the World) and A Simple Story: The Last Malambo. 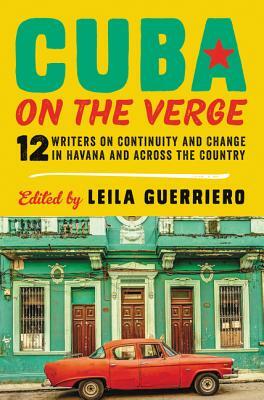 Other contributors: Wendy Guerra; Leonardo Padura; Francisco Goldman; Jon Lee Anderson; Mauricio Vincent; Abraham Jimenez Enoa; Patricia Engel; Patricio Fernandez; Carlos Manuel Alvarez; Ivan de la Nuez; Vladimir Cruz; Ruben Gallo.